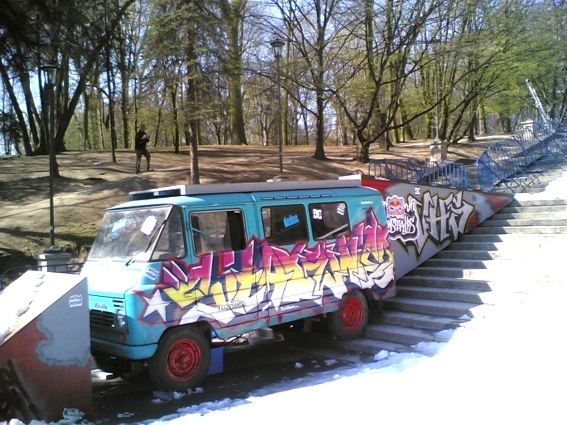 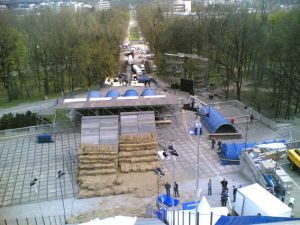 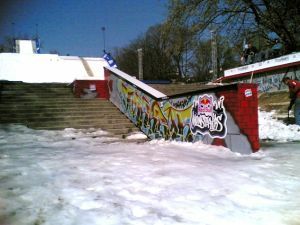 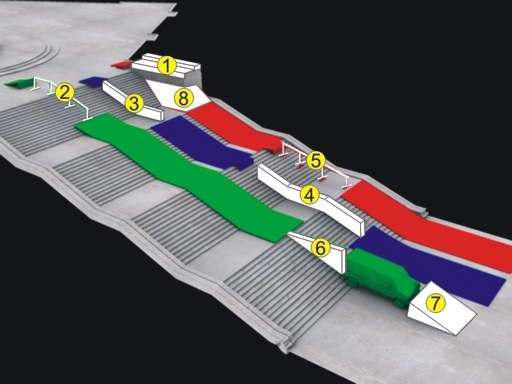 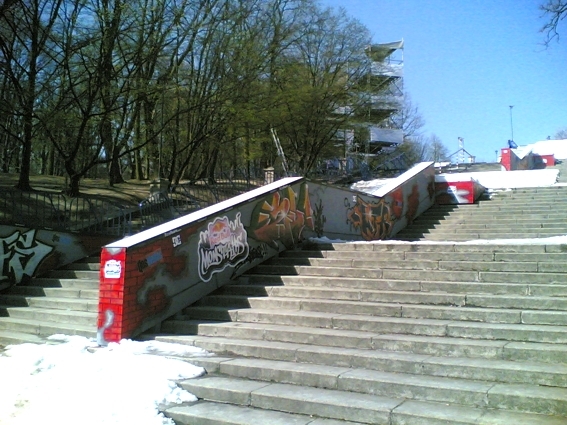 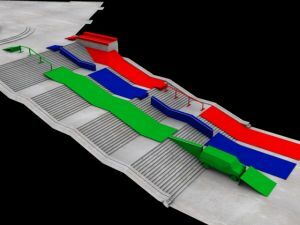 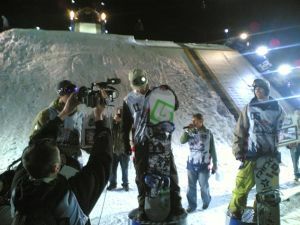 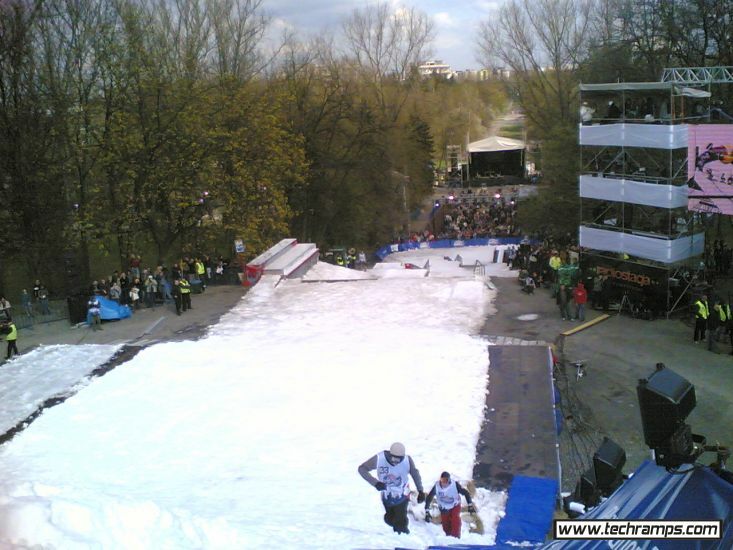 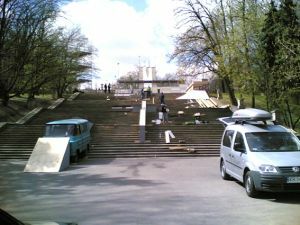 Snowpark Red Bull Monstairs in Warsaw - Snowparks - Bau und Entwerfen von Skateanlagen. Professionelle Skateanlage Techramps. 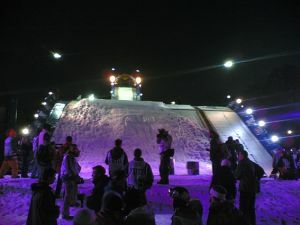 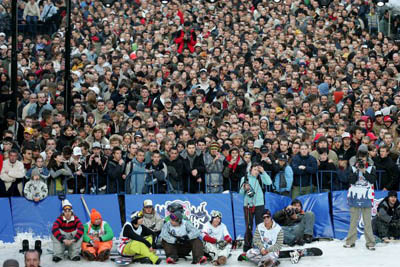 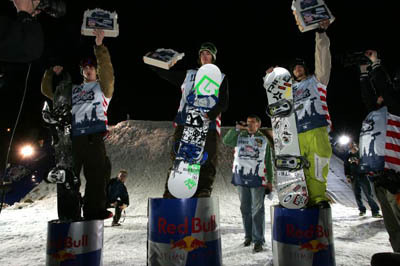 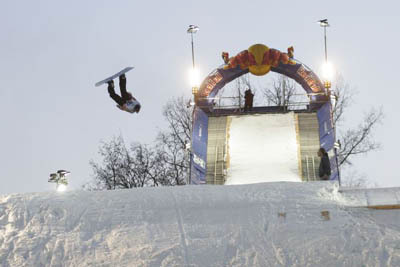 RED BULL MONSTAIRS - the biggest snowboard urban event in Europe and one of the biggests on the Earth. First organized on that scale in Poland!!! APRIL 2005 - Warsaw. 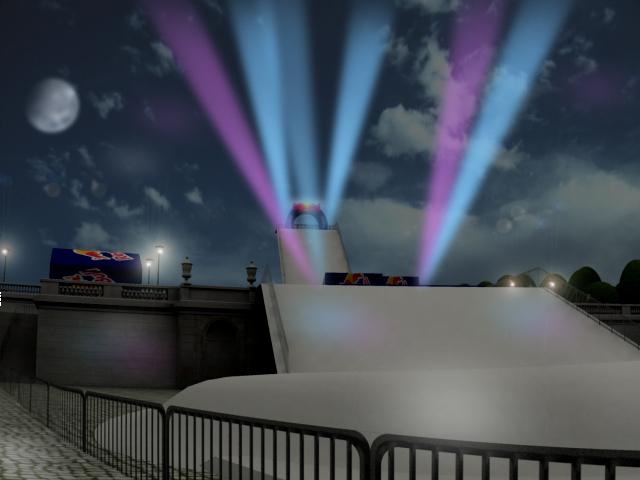 Total pool of rewards will be 15 000 Euro. RED BULL MONSTAIRS. 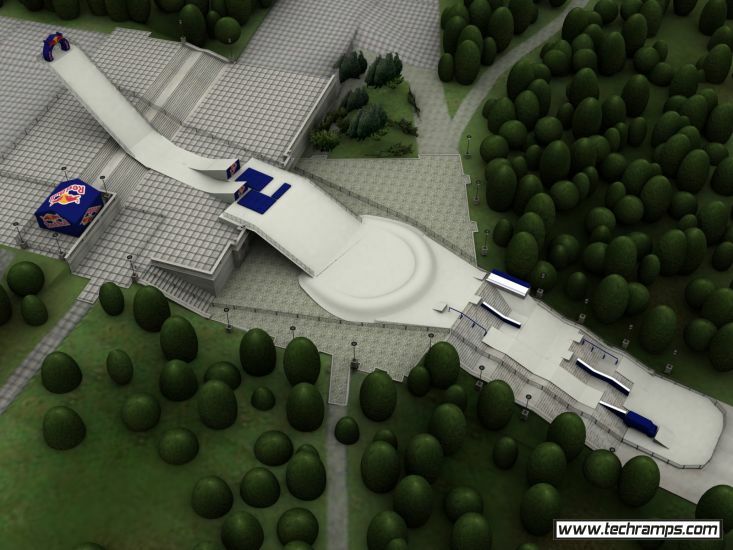 Track - at total area of 800m2 - will be containing two parts: ski jump (big air), rails and boxes. entrance for ski jump will be 17m long and it's step 5m high; jibbing part is three lines of rails and boxes with different dimmensions and settings.